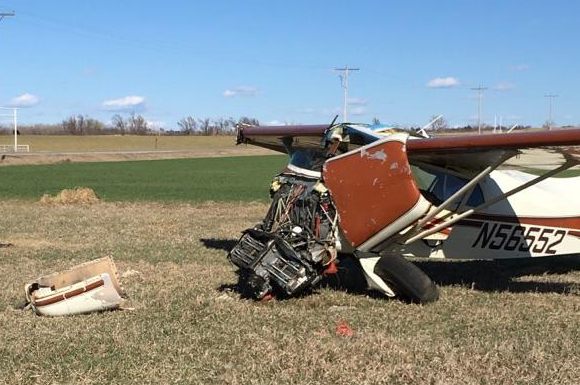 The private pilot had landed to check on a field for his cattle and was subsequently departing from a road in his tailwheel-equipped airplane. 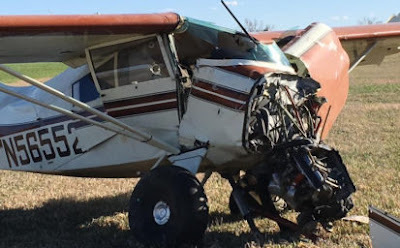 The pilot reported that, as the tailwheel lifted off, the airplane turned to the left. The pilot said that he was slow to respond with rudder input and that his rudder application was inadequate. The airplane traveled left a few feet and the left wingtip hit a highway sign as the airplane became airborne. 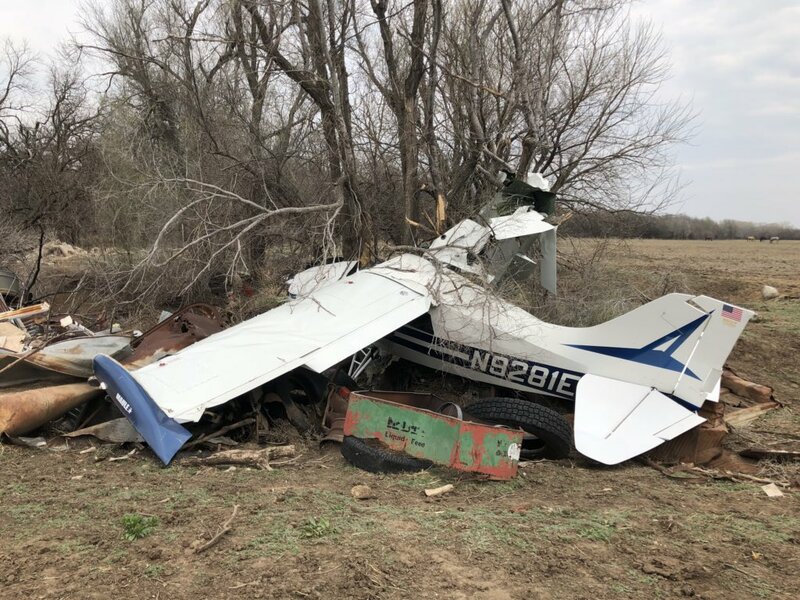 The pilot continued the takeoff over a tower and its guy wires, but, because he was aware of the structural damage to the airplane, he performed a precautionary landing to a field, during which the airplane impacted trees. The pilot reported that there were no mechanical malfunctions or anomalies that would have precluded normal operation of the airplane. The pilot's failure to maintain directional control during takeoff from a road, which resulted in impact with a sign. On April 24, 2018, about 1400 central daylight time, a Maule M 5-235C airplane, N9281E, impacted a road sign during takeoff from a roadway near Roxbury, Kansas. The private pilot sustained serious injuries. The airplane received substantial wing damage during the impact with the sign, and trees and terrain during the subsequent forced landing. The airplane was registered to and operated by the pilot as a Title 14 Code of Federal Regulations Part 91 personal flight. Day visual meteorological conditions prevailed in the area about the time of the accident, and the flight was not operated on a flight plan. The flight was originating at the time of the accident and was destined for the Mc Pherson Airport, near Mc Pherson, Kansas. According to the pilot's accident report, the flight was departing from a county road with a crosswind present for a cross country flight. As the tail wheel left the asphalt, propeller torque caused the airplane to shift its direction of takeoff a few degrees to the left. The pilot said that he was slow to respond with rudder input, and the response was also inadequate. The airplane traveled left a few ft and the airplane's left wingtip hit a highway sign as the airplane was leaving the ground. The left-wing impact caused the airplane to turn an additional 20° to 40° left and decreased left-wing lift while not affecting the right wing. The pilot was able to overcome the left and right-wing lift imbalance and was able to "generally regain control." The airplane was still operating with full power, with full flaps, and was climbing rapidly. The pilot was concerned about the visible left-wing control surface damage. However, the airplane was now heading directly at a cell tower with guy wires. The pilot elected to keep the wings level and continued the climb over the tower. He reduced power once he cleared the tower. He subsequently elected to land in a field that had a tree line at the end of the field. The pilot attempted to execute a short field landing. However, he impacted the trees "about 40" kts. The pilot indicated in his report that there were no airplane mechanical malfunctions. The pilot's safety recommendation, in part, stated, "The bottom line is that I have determined that using roads for takeoff and landing is outside the boundaries of my new acceptable risk profile. ... A few practice takeoffs and landings at an airstrip would have been very beneficial given the 100 day interval between last flight." At 1353, the recorded weather at the Salina Regional Airport, near Salina, Kansas, was: Wind 320° at 21 kts; visibility 10 statute miles; sky condition scattered clouds at 11,000 ft; temperature 20° C; dew point 9° C; altimeter 30.16 inches of mercury. Remarks peak wind 320° at 27 kts at 1341. The pilot of the tailwheel-equipped airplane reported that, while landing on a road in gusting crosswind conditions, the right wing lifted to about a 60° angle. He immediately initiated a go-around and added full power and right aileron and lowered the nose. The airplane had drifted off the center of the road to the left heading toward power lines, and the pilot chose to go under them. After the airplane cleared the power lines, the left wing tip struck the ground, and the airplane cart-wheeled. The airplane sustained substantial damage to both wings, the fuselage, and the empennage. The pilot's failure to maintain directional control during a go-around. Cleaned his personal belongings out of the plane. Walked to a nearby bank. Called federal aviation and transportation officials. And caught a ride out of town. The pilot, Randy Shannon, had no idea that local authorities considered him “missing” after a passerby spotted the crumpled plane Thursday afternoon in a field near Roxybury, Kansas, and called 911.